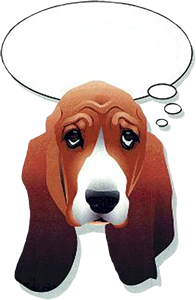 What is a Basset Like? BROOD's mission to find loving homes for abandoned basset hounds. BROOD is not a permanent refuge for unadoptable animals. All dogs are accepted on a case-by-case basis. The Shelter Referral Form must be completed for all dogs prior to a final intake decision being made by the BROOD Intake Committee, and prior to the dog being physically removed from a shelter by a BROOD volunteer. A picture of the dog must also be submitted. The final decision regarding the intake of a dog will be made by the President, Vice President of Adoptions and Vice President of Fosters, using a consensus process. These three people constitute the BROOD Intake Committee. BROOD only accepts dogs deemed to be adoptable by the Intake Committee. All dogs are accepted on a case-by-case basis. Criteria used by the Intake Committee include the age, health, and temperament of the dog, available space in foster homes and kennels, and BROOD's financial situation, and availability of approved adopters. Owner relinquishments are no longer accepted. BROOD does not accept stray dogs found by private individuals under any circumstances. Dogs must be directly referred by an animal shelter, veterinarian or third party rescue organization and must be in danger of being euthanized. Dogs not immediately subject to euthanization will be monitored and will not be pulled from the shelter until euthanization is imminent. Dogs previously adopted from BROOD may be returned subject to the terms of the Adoption Contract signed at the time of the adoption and at the discretion of the Intake Committee. Basset mixes will be accepted on a case-by-case basis at the discretion of the Intake Committee. Dogs with serious or permanent health and/or behavior problems are often not adoptable and may not be eligible for BROOD's adoption program. BROOD volunteers are not permitted to initiate intake of a dog on BROOD's behalf without the express approval of the Intake Committee. Intake procedures and policies are determined by the BROOD Board of Directors and may be reviewed periodically at the Board's discretion. Having problems with our website? Please with the details.